The Belize Fisheries Department, National Fishermen Cooperative and The Nature Conservancy in Belize trial a pioneering technology to digitize fisheries supply chain. 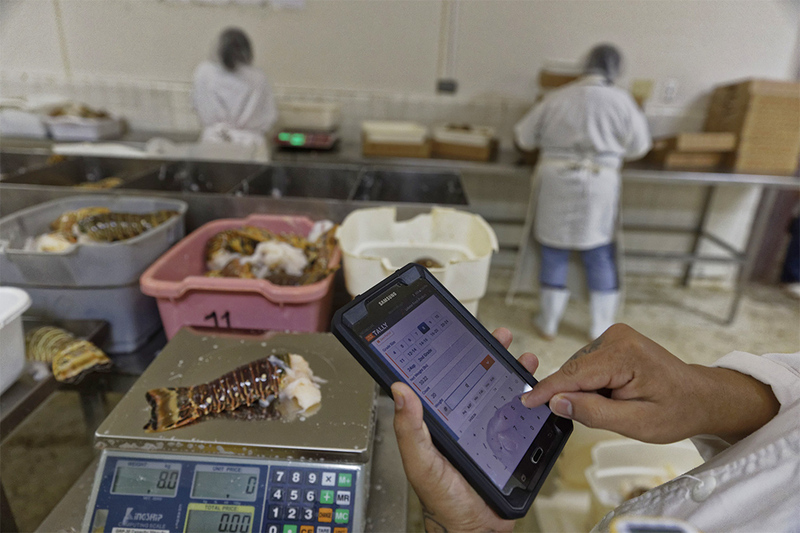 *An innovative new technology, Tally from ThisFish, was showcased at the National Fishermen Cooperative in Belize City, Belize to improve efficiencies in the processing plant and strengthen electronic seafood traceability. *Tally will facilitate stronger accountability and transparency from fisher to consumer, and corresponding data collected will be sent to the Belize Fisheries Department for real-time analysis and management of the fishery. *The project is being implemented by The National Fishermen Cooperative (NFC), the second-largest fishing cooperative in Belize, and The Nature Conservancy (TNC) in Belize, an environmental conservation organization with over 25 years in Belize along with the Belize Fisheries Department and other conservation NGOs. Belize City, Belize, February 11, 2019 - In a press event Friday, February 8th, the Belize Fisheries Department, the National Fishermen Cooperative (NFC) and The Nature Conservancy (TNC) in Belize presented the pioneering technology Tally, by ThisFish, to implement improvements in the country's lobster and conch fishery production. This innovative new technology, implemented within the framework of the Resilient Central America (ResCA) project, will improve efficiencies at the processing plant, allow for the cooperative to better monitor activities, and ensure traceability (accountability and transparency) from fisher to consumer. "Full electronic traceability is a pioneering new technology – it tracks a product from the time of capture at sea, through the landing and processing at the plant, all the way through exportation and shipping to the consumers plate. The Tally system by ThisFish tracks the product from landing to buyer." said Julie Robinson, Belize Oceans Lead for The Nature Conservancy. "Now, a consumer will know who caught their lobster, when, where, and the life-cycle process it endured to arrive on their plate. It's essentially a 'hook to plate' traceability." Recognizing the continued pressures on fisheries resources in Belize, the Belize Fisheries Department, NFC, TNC and other non-government partners initiated this collaboration to improve fisheries management and ensure food security across the region. Belize's fishing industry supports approximately 15,000 people in Belize, with almost 20% of those being licensed commercial fishers. 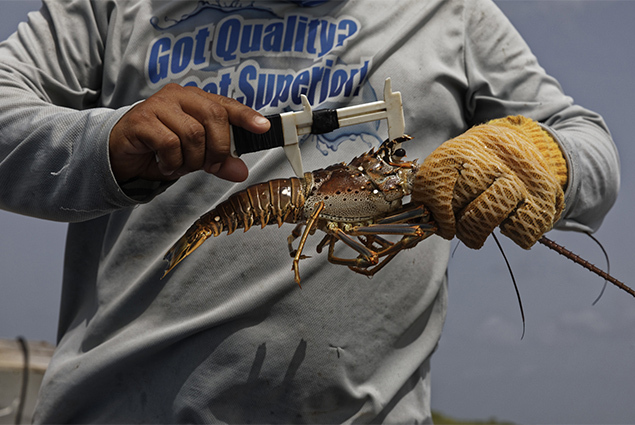 The fishing industry annually contributes $22 million BZD, or 3%, to Belize's overall economy and the two principal fisheries in the country are spiny lobster and the queen conch. Due to the importance of these fisheries, it is essential to collect better and broader data that can be shared across organizations. 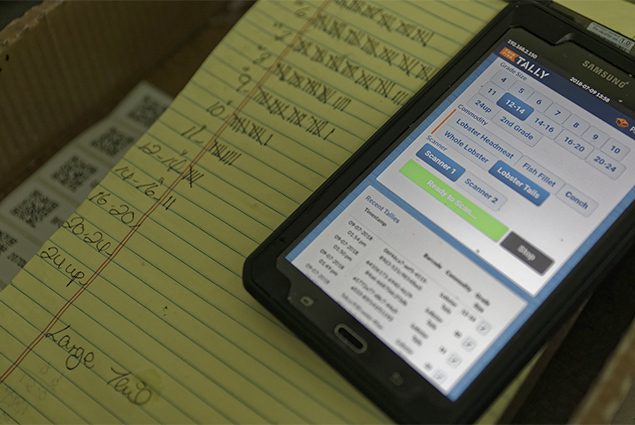 With the implementation of Tally by ThisFish, the data generated from this tool will provide information directly to the Fisheries Department for real-time analysis and management of the fishery. 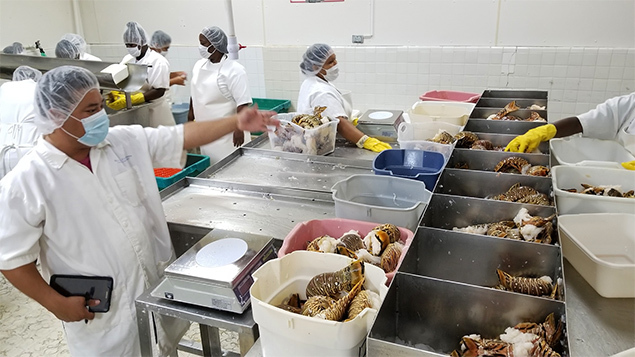 For NFC, providing electronic traceability of spiny lobster and conch will ensure sustainably caught fish are entering premium markets, therefore driving higher prices from seafood buyers and generating economic security for its' fishers and cooperative members. "The Cooperatives are some of the last grassroots businesses in the country. They are owned by the very people who are producing, and they are the first ones to have started the commercialization of seafood out of Belize" said Beverly Wade, Belize Fisheries Administrator. The implementation of Tally is occurring through the framework of the Resilient Central America (ResCA) project, which is a four-year initiative led by the United States Department of State, The Nature Conservancy and AgroLAC 2025. The goal of this project is to promote healthy and productive ecosystems by achieving food security and resilience to climate change. "We want the economy to drive sustainable fisheries for a healthy reef and sea," said Julie Robinson. "The implementation of this tool will have widespread effects across organizations and meet the standards from the global fisheries sector. It's a perfect example of collaboration here in Belize." Do You Know What is Five A Side?